Use an umbrella in your project. Looking for umbrella ideas, I really liked this cute bird I found on the 3 Birds on Parade Cricut cartridge. 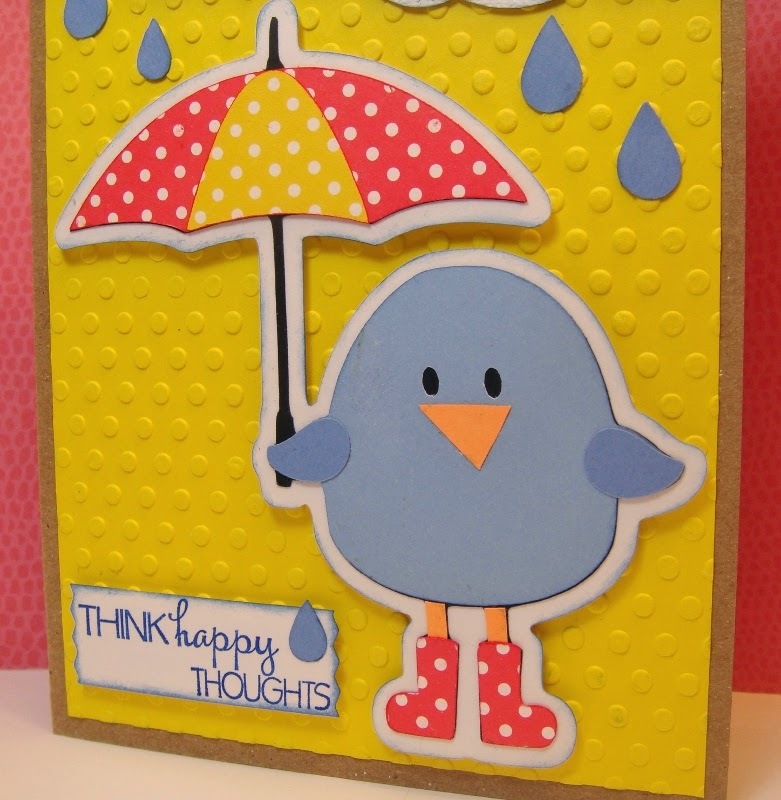 We hope you'll join in the challenge this week at Die Cuttin' Divas and make a card, layout, or altered project using an umbrella. 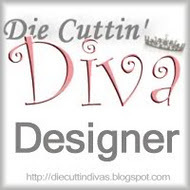 Be sure to use a die cut and link your post back to DCD's blog. I hope my card gave you a laugh today; appreciate your visits and comments. Pat ~ Oh this is just TOO CUTE! I LOVE that bird and bought that cartridge just for him! LOVE how you shadowed the whole cut too! FABULOUS card! Thank you for having me s a Diva with you wonderful ladies ~ its been an honor! Loving the little blue bird from Birds on a Parade! Super cute card!! 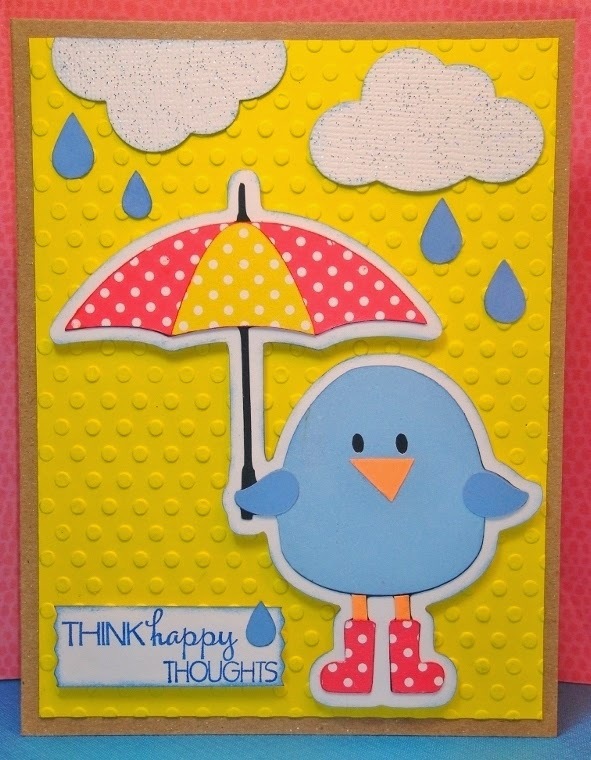 Love the embossing and the adorable bird!!! Have a great day. Love the matching boots and umbrella! Aaaw, so cute! The embossing adds so much texture-love it! The birdie and the birdie boots are so stinken adorable! Love the umbrella! Love it, your birdie is soooo cute! You did a fabulous job, love the boots! One of my favorite carts! Oh my gosh, love this adorable bird in his rain boots!!!! So cute!! !